And I am. So I am going to blog about it. I am a big proponent of catch and release fishing. I think it is important to maintain the quality of a blue ribbon fishery, and to provide the greatest number of anglers a chance at trophy fish. It is a personal and ethical choice that I make; but I am not opposed to the selective harvest of fish. I would be lying if I said I have never harvested a fish. As long as the fish is handled as humanly as possible and consumed, I have no problem with someone harvesting fish. But if you are going to release fish, you need to take darn good care of the fish that you catch. It is a commitment to the animal to minimize their suffering. Yesterday, I saw something that horrified me. When I catch a fish, there are three things that I focus on when that fish gets to hand: return it to the water as fast as possible, don’t hold it by the jaw if possible, and carefully release it back into the water (reviving it if necessary). Am I perfect? No, you can a few pictures on this blog of me lipping fish. Occasionally I will give a small fish a small toss to get it back in the water… only when I can’t reach down to place him in the water by hand. But, above and by far the most important to me is to get fish back in the water as soon as possible. I watched a young man catch a nice bass yesterday; and he held that bass out of the water for about 4 minutes. I managed to hook, play, land, photograph, and release three crappies while he held this fish out of the water. On top of all of this, he carried it around by the jaw the whole time. This went on for 4 minutes… I know because I landed a crappie at the same time and took a picture of it, and compared the timestamp to when he released the fish. I love pictures of fish. I love seeing them and talking about them. Running a third tier fishing blog, I need fishing pictures. It’s not hard to either have all your tackle with you, or bring what you need around the lake. My camera is tethered to me, and I have a landing net I carry on my back to catch fish as soon as possible; and to give a soft surface to photograph them on. If I do decide to take a picture of a fish, the decision is made it an instant. I take one step from the bank, set everything up, remove the hook, and release the fish. The fish is out of the water for 30 to 45 seconds tops; and I even feel bad about that. If for whatever reason it will be longer the fish stays in the net, and the net in the water, until I am ready. Sometimes this is necessary on the belly boat. I try to avoid lipping a fish if I can; but this is forgivable. The 4 minutes of the of water makes me livid. Fish need water; for obvious reasons. If that fish is not headed to a dinner plate, then it belongs in the water. Period. It takes very little forethought to think about photos before hand. I don’t weigh fish (it is an unimportant statistic to me), but having that scale on your body is also something that take no forethought. And if not for the sport, simply have respect for the life of the fish. The greatest thing that I feel fishing teaches is a respect for life. Sadly, this is something that is fading in our fast forward society. Respect for all living things is bred from being around living thing and taking care of them. Sometimes I think people forget that our time here in this life is limited, how fragile life really is, and how precious of a gift it is. 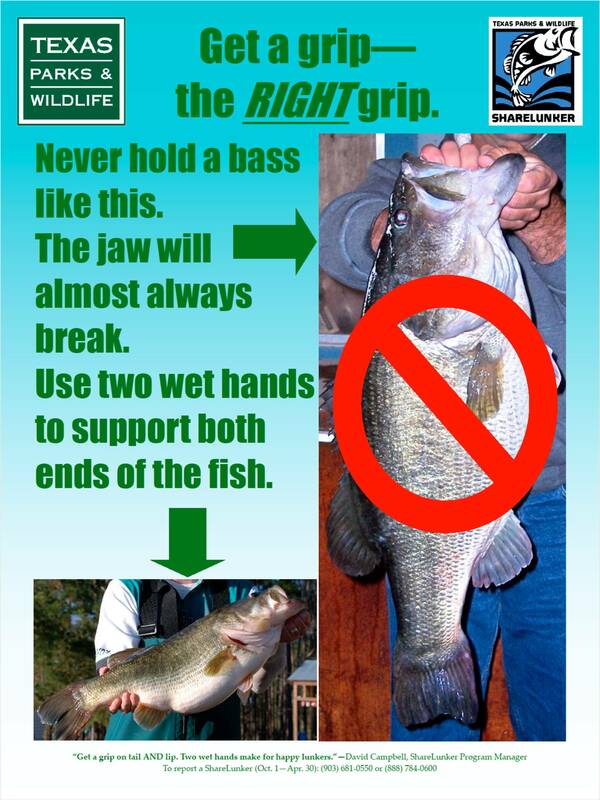 When fishing, please take time before you go to think through what you will do if you catch a fish. If you choose to harvest, have a humane way to handle those fish. If you are going to release the fish, take time to plan out how you will preserve that once-in-a-lifetime fish before your line hits the water. I was so excited to get these, I had to share them right away!!! Only once in a blue moon do my wife’s crafty hobby and my fly fishing addiction overlap. Not to mention when both align perfectly with my third addiction, the University of Nebraska Cornhuskers. I’ll be the coolest angler out on waters of Nebraska… thanks sweetheart! While I was out, I did start to think about setting some fishing goals for 2013. I have meant to do this for a while; something to focus my fishing a little bit. If you have followed along with this blog for a while, some of these should make perfect sense. This should keep me busy for a while. I will post a link to the top of my page so people and keep track of my progress. Now, since the wind is bad, to the fly tying bench!